Recently announced bans on open-loop scrubbing and the expectation that more will come may be worrisome for owners and vendors of the technology, but the situation is expected to be a boon for LiqTech International, Inc.
Last October the firm said it struck a framework agreement with "one of the world's largest manufacturers of marine scrubbers" for its onboard scrubber wastewater treatment solution. Now, with orders for more than 110 of its standardized water filtration systems, an increase from more than 50 systems in mid-November 2018, it says expectations are that revenue during the first quarter of 2019 will be a company record. Revenue for Q2 is expected to be higher still. 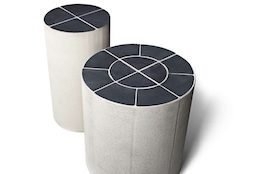 "The interest in LiqTech's proprietary ceramic silicon carbide water filtration systems for marine scrubber applications is extremely high," said CEO Sune Mathiesen, adding it has also ramped up manufacturing capacity to meet increased demand. And noting the recent bans announced by Singapore and China, he says the market dynamics continue to favor his firm's solutions. "We believe this will continue to drive increased demand for closed loop and hybrid scrubbers, which include a water treatment option." To between 18 and 30 months.